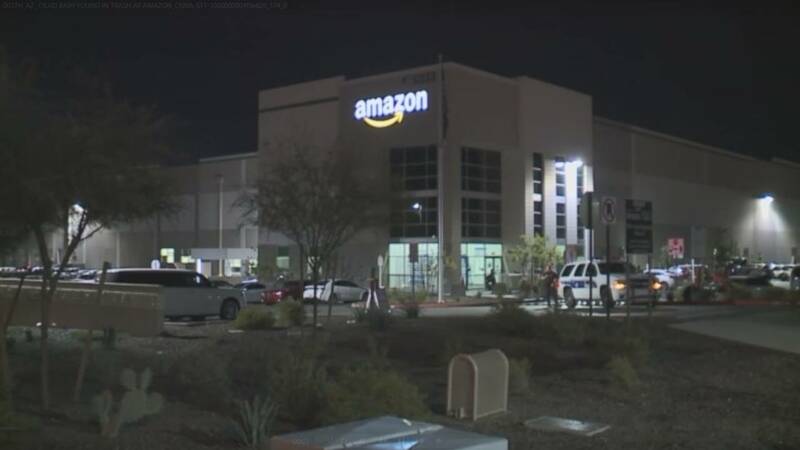 (CNN) - Phoenix Police are investigating the discovery of a newborn's remains in the garbage at an Amazon distribution center. The call came in Wednesday at around 8:30 p.m. that a baby was found deceased at the business near West Lower Buckeye Road, according to Phoenix Police spokesman Vincent Lewis. The child was discovered in the trash can of a women's restroom. According to CNN affiliate KNXV, police say that the child could not be revived. Police tell the station they will not be speaking on-camera overnight as investigators continue working. "This is a terribly sad and tragic incident. We are working with local authorities to support their investigation. The safety and wellness of our team is our top priority," said Amazon spokeswoman Lauren Lynch.